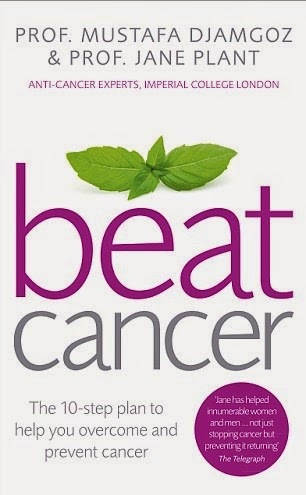 'Beat Cancer : The 10-step plan to help you overcome and prevent cancer' is a book which should be required reading for everyone, as we aspire towards a more preventative model of healthcare. [A personal book review from Callie Carling] This book is very useful for those who are going through treatment or have finished treatment, although I would personally recommend it as a must-have resource at the point of diagnosis (preferably BEFORE you get test results back, so you can enter into discussions with surgeons and oncologists better-informed). The authors - Prof. Mustafa Djamgoz and Prof. Jane Plant - have presented the book in a highly-logical, well-presented manner. 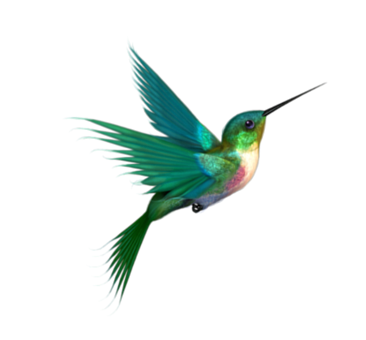 The easy Steps offer a natural reading-route for those who have need of instant-information at a specific stage of their (or their family/friends) treatment. Considering the subject matter, this book is extremely well-written and easy to understand. The Appendix has clearly been laid out with much thought, too. It is easy to see that at least one of the writers has had personal experience of the cancer journey, purely because of the clarity of layout - when going through treatment, you need to have things laid out clearly, succinctly. Your brain just cannot cope with anything that is NOT clear and concise! The book cover looks friendly yet clinical, with an uncluttered look and ‘friendly’ typeface. My one (very personal) dislike is the use of the dark pink colour as a focus colour; although it serves the grey font very well, I feel it could potentially be off-putting to a population that links pink to breast cancer awareness. Especially as one of the writers is so well-known for her writings specifically to do with diet and breast cancer. Potential readers may not realise that it is a book that applies to EVERY type of cancer, irrespective of age. However, the layout of the book is clear and well-structured, enhanced by the typeface/font used. There is limited use of diagrams, and what is included is very clear and easy to understand. The appendix is very well laid-out in tabular format, too. All in all, Beat Cancer is a highly readable, user-friendly book about an emotionally-difficult and scientifically-complex subject. What I really liked about this book was the 10-step way to self-empowerment at a time when cancer patients (and friends, carers, loved ones, etc.) can easily be overwhelmed by medical terminology. Step 3 should be printed out and given to EVERY cancer patient as soon as they are diagnosed! The book is extremely well-written, giving a healthy blend of science and medical together with the aspects of good health whilst dealing with cancer (or living with cancer, or post-cancer and in remission), which are often left unsaid by the medical profession. e.g. diet, complementary therapies. It also gives people an underlying (basic) knowledge of orthodox (clinical) medical treatments and why these may be offered. It is so easy to feel disempowered during treatment, and Beat Cancer really helps to give you a bit of the ‘insider knowledge’ so you can work together with your medical team to make fully informed decisions. If ONLY they could print out just Step 3 when you are handed a diagnosis, it would be such an empowering tool at a time when you feel so very small and inconsequential, a mere body attached a terrifying monster that goes by the broad term of 'Cancer'. I felt a little disappointed (even cheated, to be honest) by the fact that Step 10 is so lightweight. For such a hugely-important part of the cancer journey (moving on from treatment), I felt 7 pages was far too short. Part of the reason we endure such radical treatments is to try to beat cancer, enabling us to life a full life. Too often, survivors are left bereft of any real support, or guidance as to where to turn to, and I feel that this should have been addressed a little more in Step 10. There are just NOT enough resources to help the huge numbers of survivors to move forward in life, physically, mentally and emotionally. I am only giving Beat Cancer 4 stars because of the skirting-around-very-important issues in Step 10. Sadly, I feel this is atypical of a clinician’s writings; it would have been wonderful to have had some input from a psychologist, such as Dr Cordelia Galgut, to give a truly balanced ending to a very interesting, informative and helpful book. Disclaimer: I received a paperback copy of Beat Cancer to review for Macmillan.